You must make reservations at least 5 minutes in advance of the time at Dante's Fire Cocktails and Cuisine. "Dante's Fire, Cocktails & Cuisine has a simple philosophy - Food made from food. Executive Chef & Owner Ken Foy's vision of a scratch kitchen creating Fine Food For Everyone, even until 2 in the morning. We also believe that to be a great cocktail you must have fresh ingredients, proper technique, and above all it's got to be so good you'll want another. We've created a fine food, casual atmosphere that caters to well, everyone. Start with our daily Happy Hour, enjoy live, local music on the weekends, and feel welcome to hang out all night long. " The place is nothing to look at and the ambiance is non-existent. The service is friendly and helpful and the food was so much better than I was expecting. My husband and I thoroughly enjoyed our dinners. We were visiting so we won't be going back any time soon but the next time I am in Tucson I will definitely make a point to have dinner there. My wife and I enjoyed appetizers and a couple drinks leading into a surprise birthday party for her in the back room. The entire staff was awesome and accommodating - extremely responsive and helpful. The hors d’oeuvres recommendations were spot-on and their responsiveness in a pivot in beverage provisions was greatly appreciated (we had high demands for their outstanding specialty drinks which weren’t originally included in our preset menu offerings for our guests). Everything from staff, food and beverage quality, communication and value were truly amazing! Good spot. Not enough experience for making a judgement on the food, but it seemed good for what I had and others I was with. They were out of a specific item I wanted to try. Drink pours were good. I'm a small party of two, with the intentions of an intimate dinner bursting with conversion, Dante's Fire provided the perfect atmosphere and noise level at 930 pm on a Tuesday. The food was perfect - and nothing less was expected. 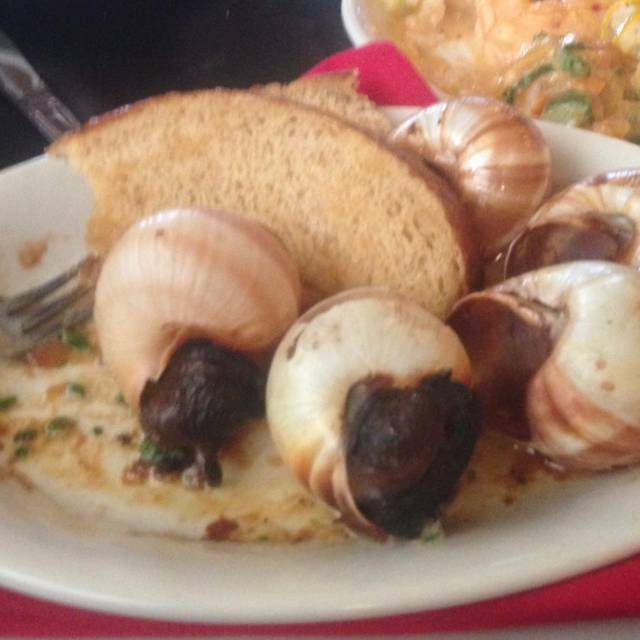 Escargot was perfectly seasoned, earthy, and bold. Dill salmon paired with the accompaniments -- divine. Drinks were on the stronger side, taking from their overall blend of alcohols and mix ins. Service was good, though not what I would call exceptional; but I digress, my standards are high after over a decade in the industry in management and serving. Overall, the time and day selected to dine were perfect for our purpose. Dante's Fire was very enjoyable. 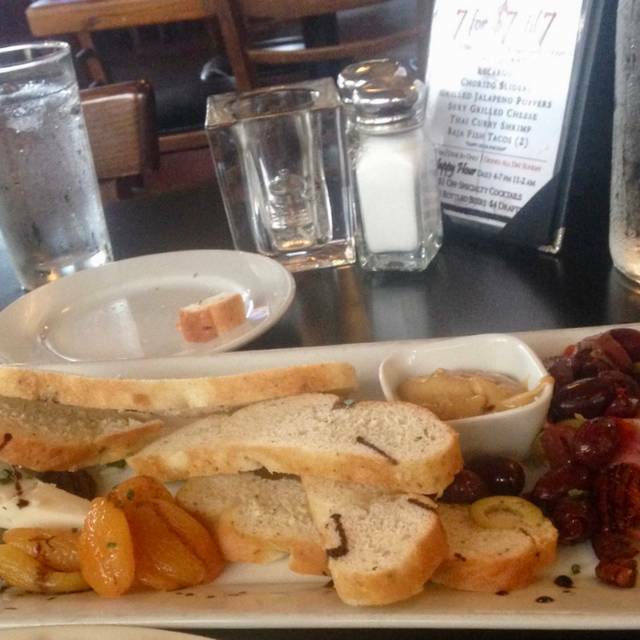 Our server, Thea, was extremely helpful and knowledgeable. Both the food menu and the cocktails were cleverly titled and well described. The Thai Curry Chicken and Chicken Marsala were outstanding. My only complaint is that many of the menu items included chorizo and other very spicy ingredients. We'll definitely return. Food was great. Hopefully they will move or open another restaurant on the Northwest side. Parking situation is not good. Dante’s Fire was outstanding. We had jalapeño poppers as an appetizer, the presentation was picture worthy and they melted in our mouths. Then there was the Tour De Pork, also picture worthy. What an experience for our taste buds. My wife couldn’t stop raving about the Passion Fruit Mousse. 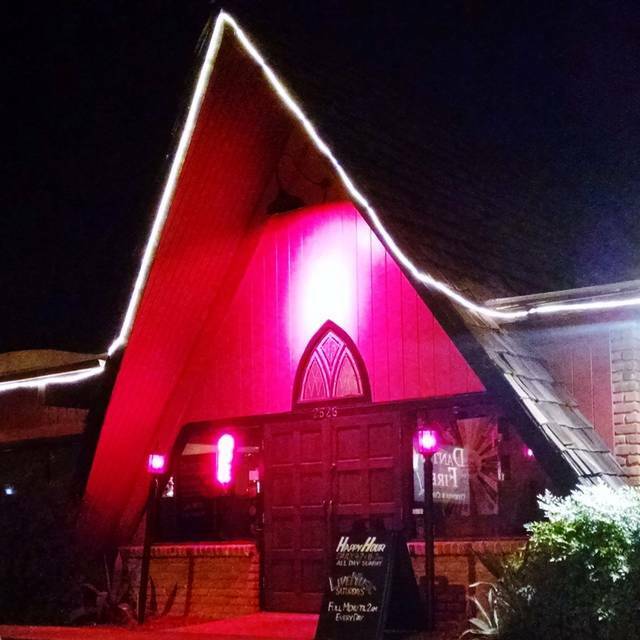 Dante’s Fire is at the top of the list of pleasurable dining experiences in Tucson. Food was bland. The decor was fair. The blinds on the windows had not been cleaned in quite some time. Love this place..always happy with meal. Could use a little sprucing up, but that’s part of the restaurants comfort. Ladies room was a mess. 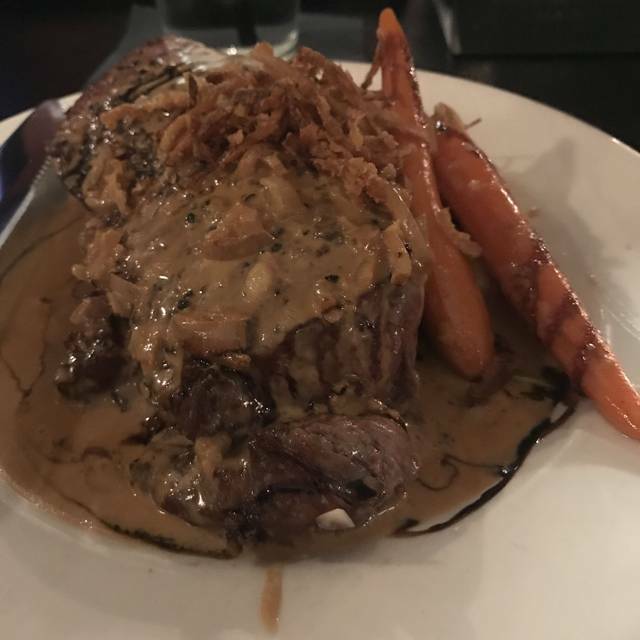 My husband and I have always loved Dante's and returned for many dinners there, but this time was particularly delicious! The set menus change with each event, and this year's set was superb. I really loved the Lamb Tartare as an amuse-bouche. The service was excellent, too; everything came out super fast and our server was very friendly and accommodating for all our needs. I would highly recommend Dante's to anyone and everyone! One of our favorite places to go and bring friends. The food and service is A # 1. Try the Clam Chowder, it's the best. I love the quirkiness of Dantes Fire and the service was very good. We enjoyed the speciality cocktails but the food was just so-so. My friend had the fish tacos which were bland and I ordered the appetizer chorizo sliders that tasted pretty good but were slightly overcooked. The buns, however were dry and the second one was hard as rock - I couldn’t even attempt to eat it. Really liked the bread and flavored butters that came out before hand though. As other people stated, the service was very slow. It was a Saturday night and it took 10 minutes to seat us. The menu is good and to the point. The drinks were very good. Our waitress seemed very distracted and preoccupied. For the value of the meal, we should have had better service. I would only eat there again during happy hour or non-busy nights. They probably can Afford to hire a table buser who also delivers the food. This would cut down on the long wait times. Delicious food and cocktails. New staff netted S-L-O-W service. Too sad! Hadn't been to DF in a very long time now I remember why... food was disappointing. I ordered a burger and asked for it to be medium rare. I asked for 3 items to be on the side. I asked the server if the cheese was melted on the burger before I ordered because if not I did not want cheese. Before our server left to put in our order I reminded her that the most important thing is that the burger be medium rare. My burger came with everything on the side including the cheese slice. The burger was on a plate the bun was on a separate plate and the 3 items I had asked for on the side... there were on another plate but there were only 2 of the 3. The server said that I could build my own burger. Ah no! The burger was well done, as in not medium rare. The cheese was a cold slice of provolone not oaxaca cheese as described on the menu. Needless to say I sent it back. My friend had the Chicken Marsala. The presentation was beautiful but the Truffle risotto and the chicken was cold. The portion was huge, 3 boneless breasts. My burger returned and it was cooked correctly with melted cheese and all 3 items on the side. We had to chase the server to get ketchup. The burger was ok, not the best in town but good meat. The fries were shoestring with seasoning and maybe garlic aioli. Our server did ask us as some point if we needed anything and at the time we did not, however she never came back until time to consider dessert and thus we had no beverage refills. The server asked if we'd like dessert and dropped off the dessert menu. When she came back to take our order we asked for the salted caramel cheesecake, and we were told "oh sorry we don't have that one tonight". It would have been nice if we had been told that so not to have our hopes dashed. So we did not get dessert. We had told our server when ordering that we wanted separate checks... she did not remember... Our server was a nice person and she tried hard but it just was not a great dining experience. Good service. The Three Tacos entree was too small, although the price was right. There should be 5 or 6 tacos to make a decent meal, or 2-3 for an appetizer. Kind of bland also. I didn't want to ruin the subtle flavor by dousing it with Cholula sauce. Have driven by many times. Finally, decided to have dinner before a show in Downtown on New Years Eve. Did not realize it offered a Price Fix Menu that night. Multiple options in three categories. We ordered different selections. Presentation, taste, and appropriate portions exceeded expectation. Lamb better than NZ and Oz, tri-tip cooked to medium rare perfection, trout moist and full of flavor, chocolate raspberry cake fresh but not sweet. We're really glad that you enjoyed your experience! We definitely look forward to seeing you return! New Years eve they had a fixed price menu of 4 courses. Food was very good and the service was great. Great food! Great service! Love this place! Will go again! Clam chowder was excellent! Enjoyed the waiter-good service! First time to try this restaurant. Our daughter who lives in Tucson knew about the restaurant and its reputation but had not tried it. We were not disappointed. Menu options were interesting and varied. Prices very reasonable. Enjoyable evening and meal. Food and service great, ambiance awful — like a battle weary bar overly lite. But food was A+. After seeing good reviews, we decided to try Dante's Fire on Christmas Eve. I had a burger (delish! ), my son had mussels (he enjoyed) and the other 3 in the party ordered the fish tacos. The burger and mussel portions were great! The fish tacos were appetizer sized portions with no sides. When I questioned the waitress just to make sure we got the dinner order, she snapped "yes they are" and left. There was only one overwhelmed server, and I was prepared to overlook the service until that response. All in all, the meal was definitely not worth the $75 dollar bill. We weren't ask to come in sit at bar till our table was ready.They ask us to go outside for 7 min..The Waitress was preoccupied with her personal life.We had to wait almost 45 min to get our bill taken care of.It was a very uncomfortable experience..
No reason to go back.. Absolutely horrible! Would never return or recommend this restaurant to anyone. 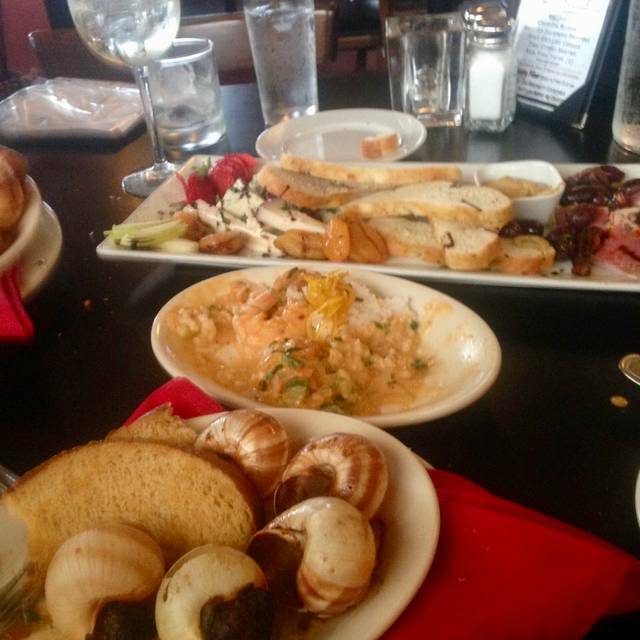 We dine at Dante’s several times a year and have never been disappointed. The cocktails and entrees are always delicious and well proportioned; just the right amount. The service is excellent. I particularly like the friendly and knowledgeable staff. One of the best restaurants we’ve been to in Tucson. Just discovered it and it will become a new regular for us. Food was fabulous and service was great. So glad it was recommended to us. We been here many times, always great food and service. 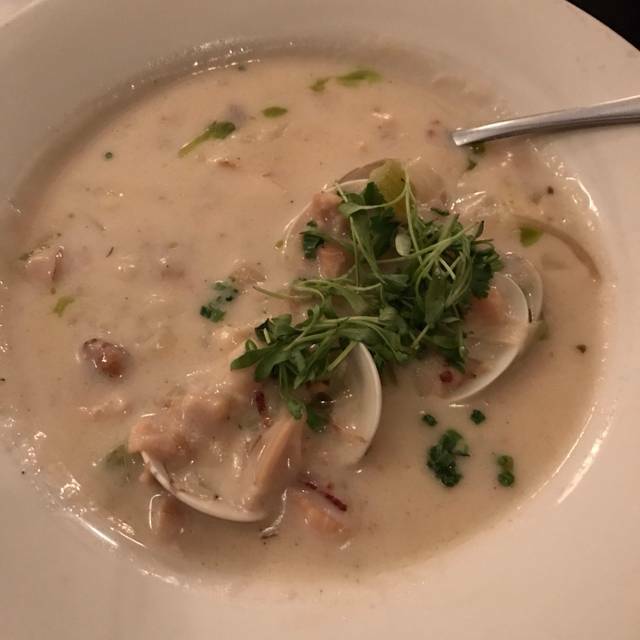 You have to try the Clam Chowder, it is served with the clams in an open shell. You cannot get it any fresher unless you are on the ocean. All the food is great, the staff is very friendly and want to make your dinner special. Big thanks to the Cook. The place is great. We came back a second week in a row to enjoy it, and afterwards I called and spoke with the owner to express the sentiment. We told him of the things we loved about the place, giving him the most sincere and honest feedback possible. Celebrated our anniversary here last night and enjoyed everything immensely. We decided to split the clam chowder as an appetizer. I told the waiter that I was from New England and thought this version was freaking amazing! Unusual to have clams in the shells but they were fresh and delicious. For entrees, my wife had the lobster cannelloni and I had the duck. Both dishes were excellent. Both cocktails (slow yer roll and a satisfied woman) we tried were also great. Remarkable recipes, presented in an artistic fashion. Signature cocktails with a special flare. Deserts that are custom created... all ingredients made on the premises. The service was remarkable to say the least. A must for those with a sophisticated palate. I love Dante's Fire! It had been way too long since our last visit for no particular reason and I'd forgotten how much I love this place! If you like tasty, creative food and hand crafted cocktails in an unpretentious, comfortable environment, this place is for you! I never know what to order because I want to order everything. This time we narrowed it down to Chicken Marsala for my husband and a dish with foie gras and mushroom risotto for me. Absolutely delicious! We won't wait so long to go back...I need to work my way through their seasonally changing menu! My wife loved her Salmon. I chose badly as is my tendency and had the Lobster Canalones with mushroom thermador. I'm normally ambivalent to mushroom, but these were very strong tasting and overwhelmed the lobster to the point that I could not taste any lobster, if indeed it was there. On a previous visit I had the Thai shrimp which was excellent. Service was not overly attentive, which is how I like it. The noise level is very high in this restaurant. Fortunately, we were able to get a seat in the back where the sound level was acceptable.